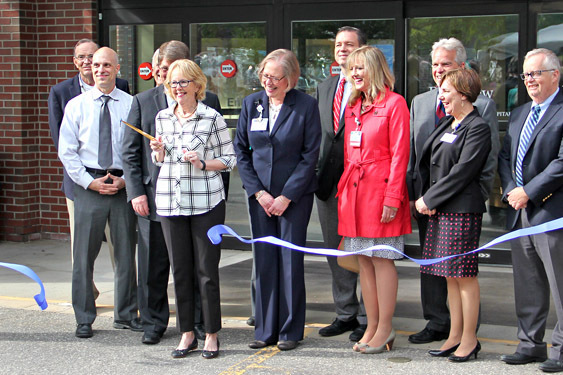 Mid Coast Hospital recently celebrated completion of a $6.2 million renovation and opening of its Parkview Campus at a ribbon-cutting ceremony held June 6. Combined with other projects, more than 44,000 square feet of the former hospital building has been reconditioned, now featuring an eight-provider primary care practice, a wellness education center, a comprehensive cancer care center, and administrative spaces. "It has been three years since the integration of Mid Coast Health Services and Parkview Adventist Medical Center and we are here today to officially celebrate the reopening of the Mid Coast Hospital Parkview Campus," said Sandy Morrell Rooney, Mid Coast–Parkview Health Chair of the Board. 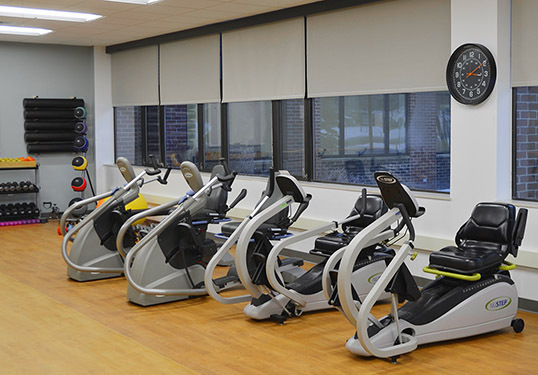 "Already, these new state-of-the-art spaces are helping our patients and community members become healthier by focusing on prevention and wellness as the foundations of overall health." Anchored by Mid Coast Medical Group–Cancer and Blood Disorders—a three-provider medical oncology practice—the new cancer center allows patients easy access to cancer related services in one space, including medical oncology, infusion, laboratory, and medical exercise. A cancer resource center, affiliated with the American Cancer Society, is also available. In addition to the wellness and cancer centers, the renovation includes a 10,000-square foot primary care practice offering routine and preventive care for children and adults. 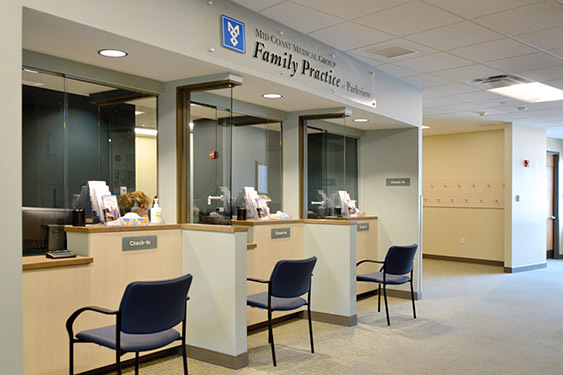 Mid Coast Medical Group–Family Practice at Parkview includes eight physicians and more than 20 support staff, all working to provide patients with a foundation of health and wellness. The practice was built to accommodate delivery of preventive and chronic disease care, as well as integrated behavioral health counseling. This advanced model of adult care practice, known as a Patient-Centered Medical Home, is proven to improve patient outcomes and lower costs of healthcare. This phase of the renovation began in 2016. Landry/French Construction of Portland acted as the building contractor and SMRT of Portland designed the interior spaces. At the event, special recognition was also given to Teresa and Peter Fogg of Wiscasset who helped expand Mid Coast Hospital’s Healing Environment Project to the Parkview Campus through curated art and interior recommendations. In her remarks, Lois Skillings, President and CEO of Mid Coast–Parkview Health, said, "When we joined together with Parkview three years ago, we focused on creating a coordinated system of care to ensure this community has continued access to exceptional healthcare close to home. As promised, we are stronger as one." She continued, "Today, Mid Coast–Parkview Health offers a wide breadth of integrated healthcare services, delivering around-the-clock access to high-quality care with more than 200 providers on our active medical staff practicing in over 30 primary care and specialty areas. We are here for our community every day, promoting wellness, delivering outstanding healthcare, and enhancing the quality of life for our patients. We are so grateful for your ongoing support."